Our range of products include boring pipe, upvc borewell pipe, borewell column pipes, upvc submersible column/riser/drop pipes, pump pipe and column pipes. 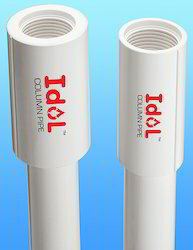 High Tensile, Corrosion free and high pressure capacity as compared to HDPE and GI pipes. Modernized laboratory is available for all kinds of testing for quality assurance. Prominent & Leading Manufacturer and Exporter from Rajkot, we offer Column Pipe such as UPVC Submersible Column/Riser/Drop Pipes, Borewell Column Pipes, Boring Pipe, Pump Pipe, Riser Pipes for Borewells and Drop Pipe. 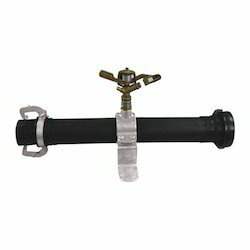 We are a reputed organization engaged in offering an extensive range of Pipes for Agriculture.These products are manufactured using premium quality material and other necessary components. We also offer these products in customized form as per the specification detailed by the clients. The offered range is appreciated for their high tensile strength, durability and high performance by the clients. 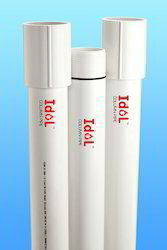 Clients can avail these products at the most nominal rates.